Today’s post is by Monte Jacobson, who became a member of Seattle Opera’s chorus in its first season in 1963, sang in every production until May 1996, and has attended every production ever since. I had the pleasure of appearing as a geisha in all Seattle Opera’s productions of Madama Butterfly from 1970 to 1995. While looking forward to our next production, I've found myself reminiscing about many of the different Butterflys who have graced our stage. Ms. Lee was young and pretty and was able to convey a wealth of meaning through every gesture. 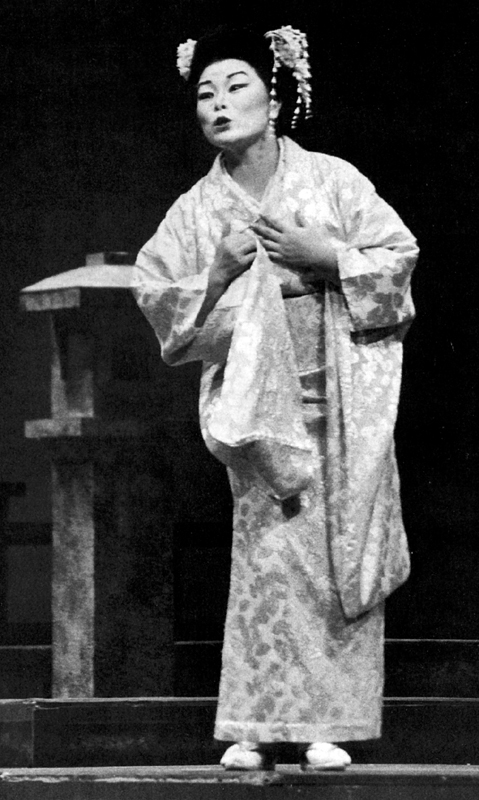 She had a light, flexible soprano with lovely pianissimi; her lower register, however, was sometimes uncertain and lacked the support Puccini's long phrases demand of his heroine. Melinda Bargreen stated in the Seattle Times, "Lee's Butterfly is a woman of grace and passion, girlish coquetry and stark realism. 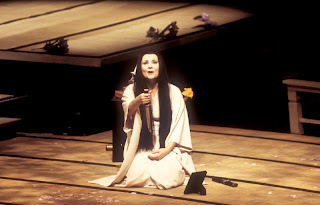 Her characterization has both charm and depth...the sort of performance that allows opera to work as theater." 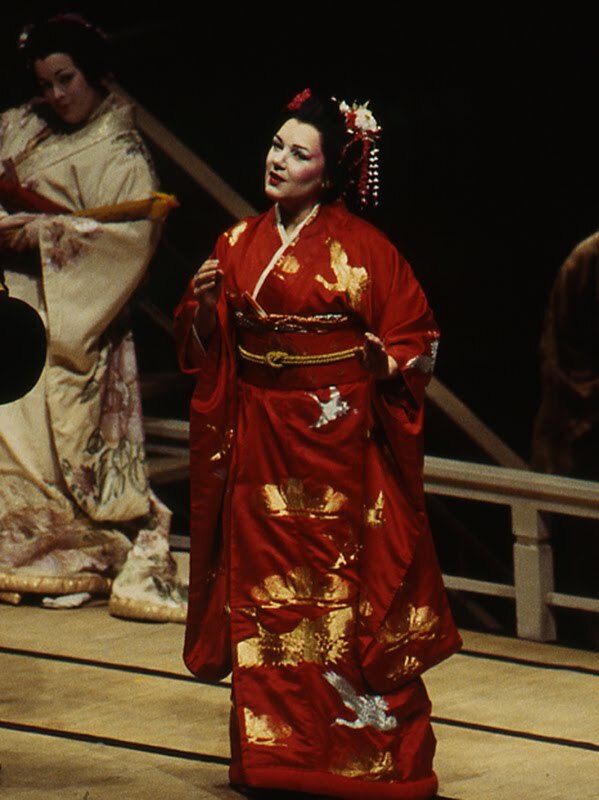 Well known in the opera world as an outstanding singing actress, Ms. Azuma exhibited a deep understanding of the role and brought to it a delicate authenticity. I admired her interpretation and felt it suited her extremely well vocally as well as dramatically. 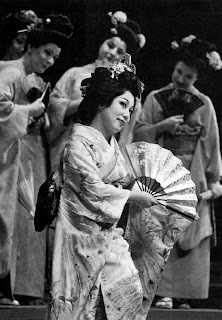 I remember her being so attentive to every detail in order to give an authentic Japanese portrayal, that she even took the time to instruct the geisha girls in the proper way to walk and move their hands. 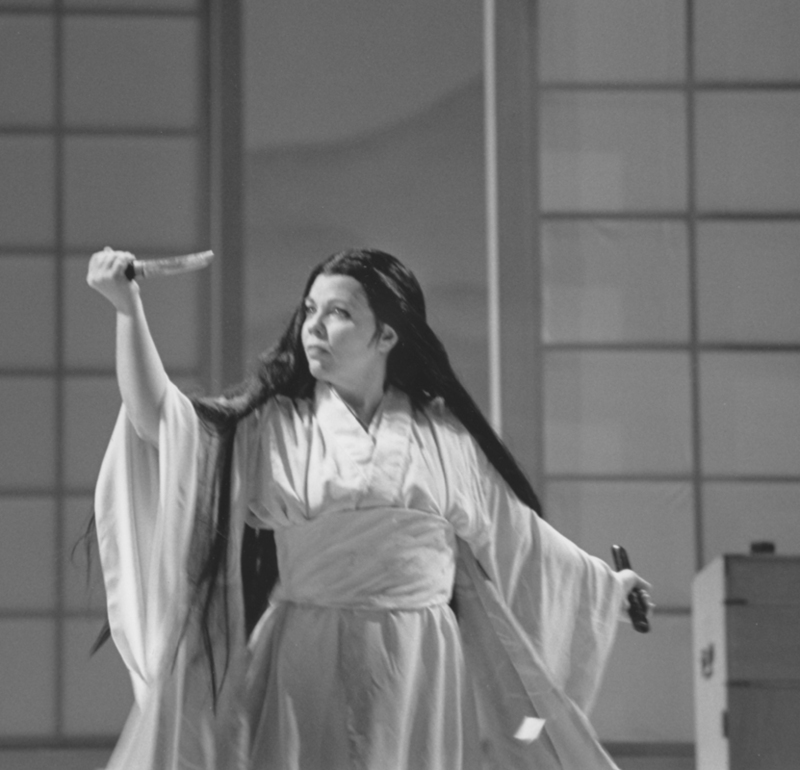 Her performance brought to mind the classic movie Rashomon. Ms. Filipova’s appearance marked her debut with the company and she was called on very short notice to replace the soprano originally contracted for Cio-Cio-San. 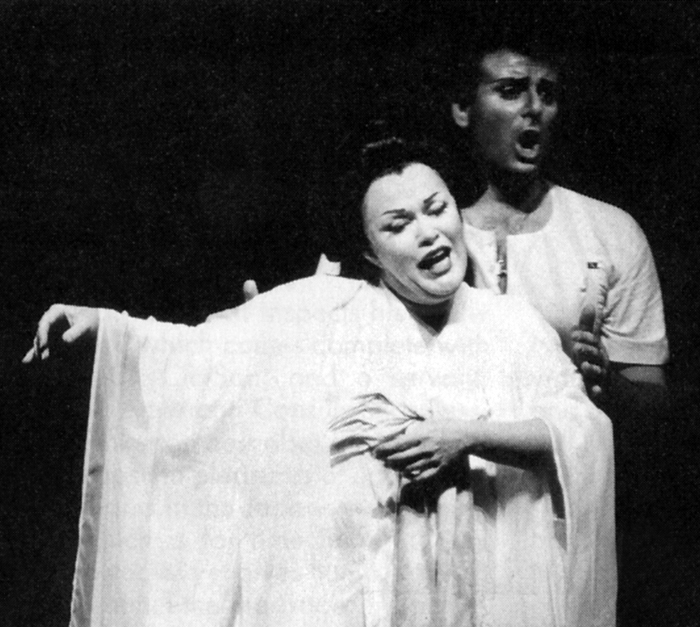 I remember her powerful voice, well suited for the demands Puccini makes of his heroine; yet she was able to spin out the pianissimo high notes that soared over the orchestra’s climaxes. I agreed with Seattle Post-Intelligencer’s reviewer R.M. Campbell when he wrote. . . “she is a singing actress in the best sense of that word . . . and conveys the sweetness, determination and honor of one of Puccini’s great heroines.” Her Trouble in this photo is Gabriella Schwarz, daughter of the Seattle Symphony Maestro. 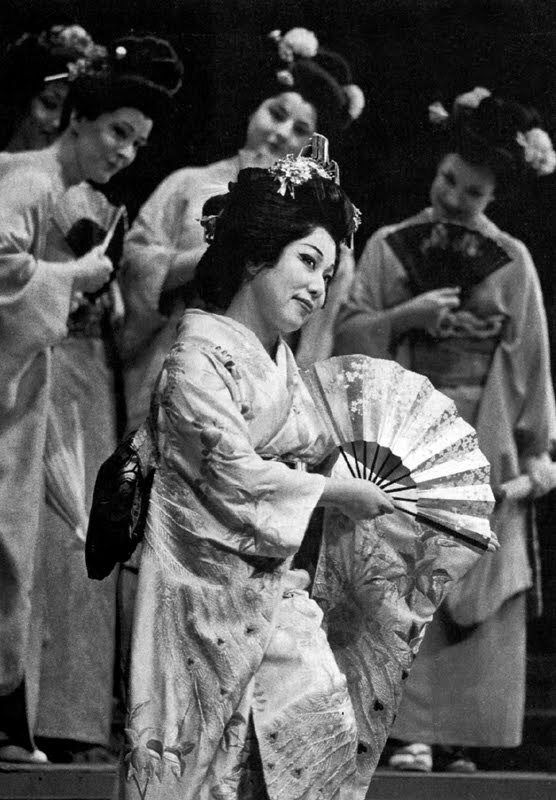 Ms. Hynes was a Seattle area resident and she opened the 1993 New York City Opera season with the American premiere of the original 1904 Brescia version of Madama Butterfly. She had performed this role for many companies in the US. I remember that she was very intense in her portrayal and was able to make every emotion believable and real. Sheri Greenawald was well known to Seattle audiences for her portrayals of Natasha in War and Peace in 1990, Eurydice in 1988, and other roles. She was named Artist of the Year in 1998 for her performances of the title role in Florencia en el Amazonas and Mimi in Bohème. 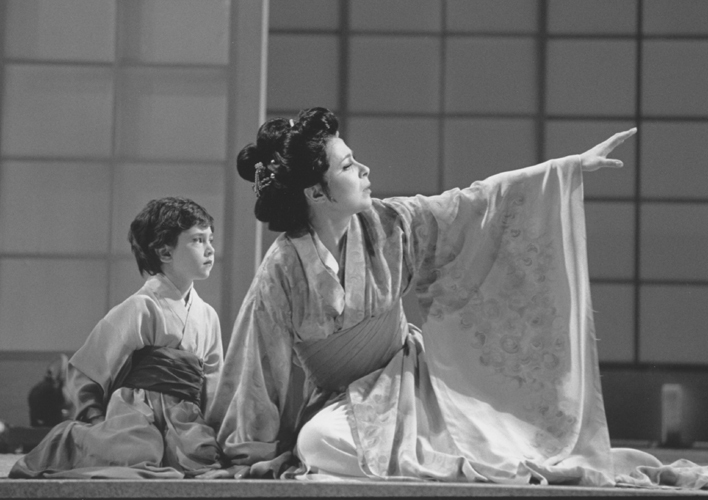 Her performance in Seattle Opera’s 2002 Madama Butterfly was her debut as Cio-Cio-San. She was able to focus intently on each scene’s content by making the drama in the music real and convincing. Her final scenes were emotionally gripping. 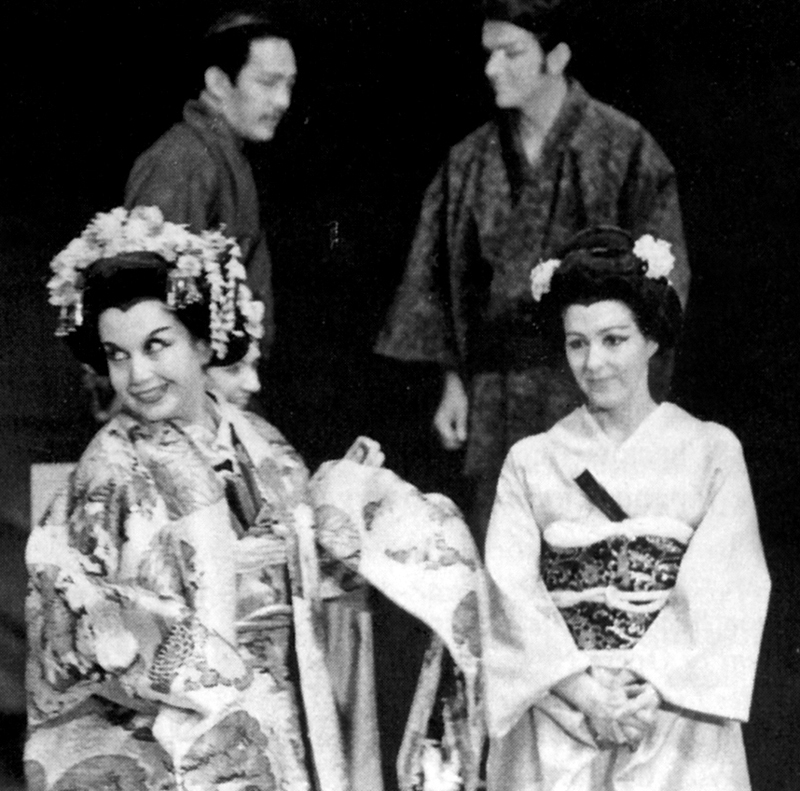 Marie Plette is best known for her Wagnerian roles in Seattle Opera’s Ring such as Freia, Ortlinda and Gutrune. As Cio-Cio-San she brought a youthful voice and charm to the role that conveyed her vulnerability and trusting, childlike nature as the fifteen year-old geisha. She was a passionate Madama Butterfly in the Act I love duet alongside the Pinkerton of Jay Hunter Morris, who is singing Siegfried at the Met as I write this.